Arc-fault Circuit Interrupters (AFCI), Electrical Safety Every Home Needs – Belco Inc. There is a relatively new electrical safety device on the market and it can save your life! What is this wonderful device you ask? It is the Arc-Fault Circuit Interrupter, commonly referred to as an AFCI. It was introduced in 1999 and has been slowly incorporated into the National Electrical Code over the years. New homes built after 2005 were required to have these devices installed on all bedroom circuits. As of 2008, AFCI protection requirements were expanded for new construction to include family rooms, dining rooms, living rooms, parlors, libraries, dens, bedrooms, sunrooms, recreation rooms, closets, hallways, or similar rooms & areas. By now, most people are familiar with GFCI devices, most commonly found in kitchens, bathrooms, outdoors, and unfinished basements & garages. These devices detect any current “leakage” and shut off power to prevent a nasty and potentially deadly shock to individuals. So what are AFCI devices designed for? AFCIs use unique current sensing circuitry to discriminate between normal and unwanted arcing conditions. If an unwanted arcing condition is detected, the AFCI trips and disrupts the power supply to the problem area reducing or eliminating the potential for damage to the circuit or the home. According to the U.S. Consumer Products Safety Commission (CPSC), each year, fires claim approximately 485 lives and cause $868 million in property damage. The CPSC estimates that AFCIs, if installed in all homes, could have prevented more than 50% of these fires. 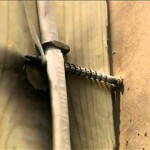 There are a couple of common scenarios that can create the potential for unwanted arcing such as damaging a wire inside the wall when hanging a picture frame with a nail or screw. Another is pushing furniture against a receptacle with cords plugged in and cracking the receptacle. Without AFCI protection, arcing between these damaged conductors can sputter on and off, undetected for quite some time by a standard circuit breaker, which is only designed to detect excessive current. This on again, off again arcing will eventually burn the wiring apart. It is during this process that the greatest risk for fire exists. AFCI protection is a good investment in safety and peace of mind for your home and family. The problems that these devices are designed to detect are nearly impossible to spot by any other means. If you would like further information on AFCI protection, or for installation by a qualified electrician in Atlanta, give us a call at (770) 455-4556. You can also visit our website at www.belcoinc.com to schedule an appointment. HDTV for Free – Part 2 What is an Energy star rated bulb and why should I use them?